The classical writers all portray the Celts as a dramatic looking people, quite different in appearance than any of the Mediterranean people. "And this race of men from the plains were all the harder, for hard land had borne them; built of stronger and firmer bones, and endowed with mighty sinew, they were a race undaunted by heat and cold, plague, [and] strange new foodstuffs." "Almost all the Gauls are of tall stature, fair and ruddy, terrible for the fierceness of their eyes, fond of quarreling and of overbearing insolence." 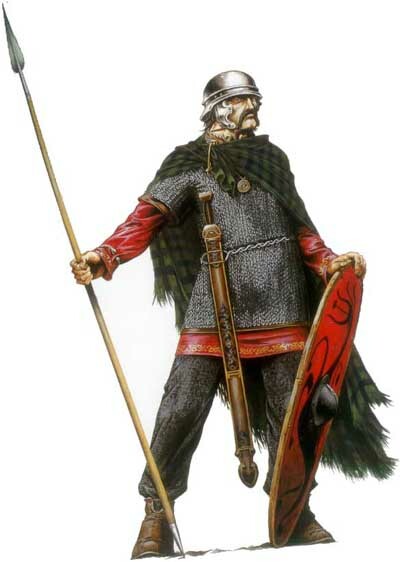 "Physically the Gauls are terrifying in appearance, with deep sounding and very harsh voices. The Gallic women are not only equal to their husbands in stature but rival them in strength as well." 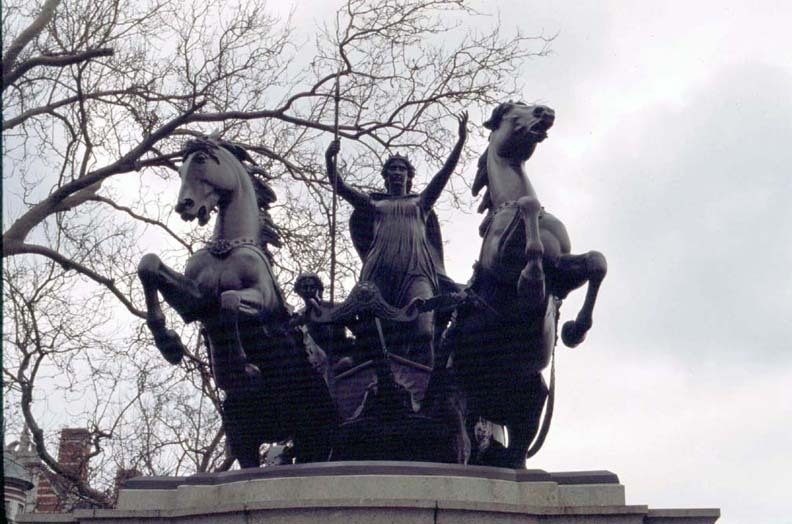 "[Queen Boudicca of the Iceni] was huge of frame and terrifying of aspect with a harsh voice. A great mass of bright read hair fell to her knees." To a resident of the Mediterranean region, these northern peoples were tall, fair, well built, and with deep resounding voices. But if we were to make such generalizations about any such peoples of the time, we would surely miss the great diversity they must have portrayed. If we were to categorize the Celts, it would be more appropriate to label them as a cultural group, rather then a racial one. 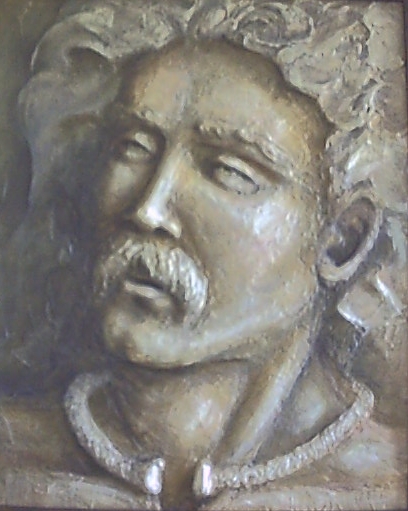 The Celts evolved over centuries with mixtures of many different tribes of peoples. 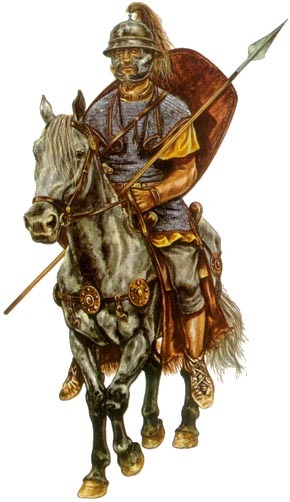 Tacitus, a more perceptive observer, distinguished many different types among the Britons, the Scots with reddish hair and long limbs, the Welsh with swarthy faces and curly hair, and those occupying the south-east of the country who more resembled the Gauls. 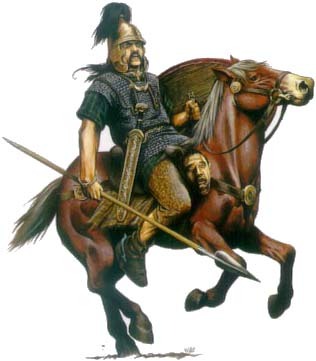 So, the Celts as a whole, differed greatly from the Mediterranean races in their lighter skin color and their greater bulk, they were by no means a homogeneous people. "Their hair is not only naturally blond, but they also use artificial means to increase this natural quality of color. For they continually wash their hair with limewash and draw it back from the forehead to the crown and to the nape of their neck, with the result that their appearance resembles that of Satyrs or of Pans, for their hair is so thickened by this treatment that it differs in no way from a horse's mane." 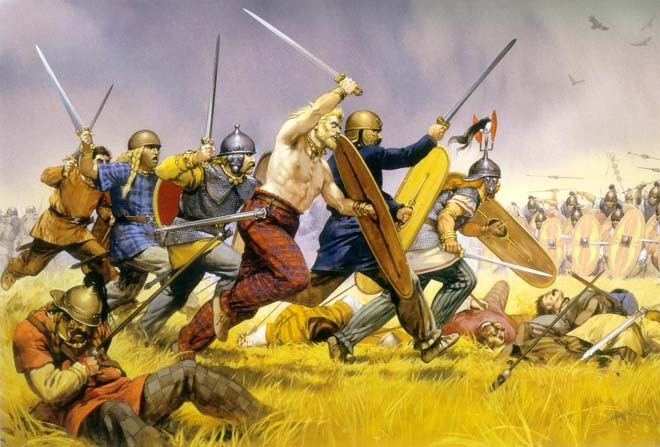 The Celts with their spiky hair and heavy build must have been an intimidating sight indeed. 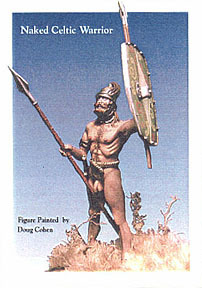 In terms of dress, Polybius gives us a vivid description of Gaulish invaders at the battle of Telamon, fought in 225 B.C.E. He states that the tribes of the Insubres and Boii wore trousers (bracae), and light cloaks. The Gaesatae went naked, wearing nothing but gold torcs around their necks and gold armlets. 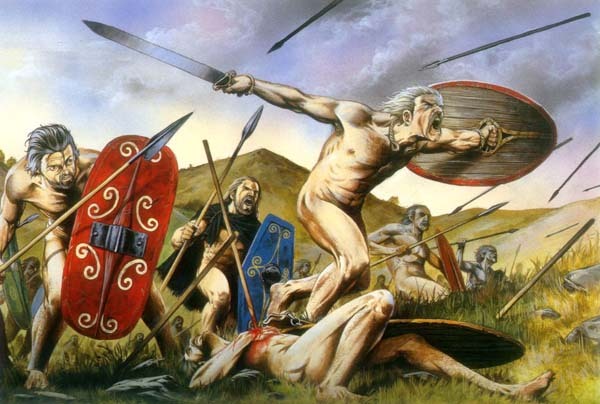 In battle, the Celts often dyed their bodies with woad which produced a blue color and made them look more terrifying. In Ireland, the common dress was a tunic (l'eine) made of linen, and a woolen cloak (brat). Copyright © 1996-1997 Michael Wangbickler. All rights reserved.